Celebrate Journaling: Journal Luminaries Speak includes 9 incredible interviews with the fun and enlightening masters of writing practice. These interviews invite you to experience a deeper connection with your journal writing and creative self-expression. Learn from inspiring and informative experts: Louise DeSalvo, Natalie Goldberg, Caryn Mirriam-Goldberg, John Evans, Susan Borkin, Mark Matousek, Christina Baldwin, Sheila Bender, and Beth Jacobs. 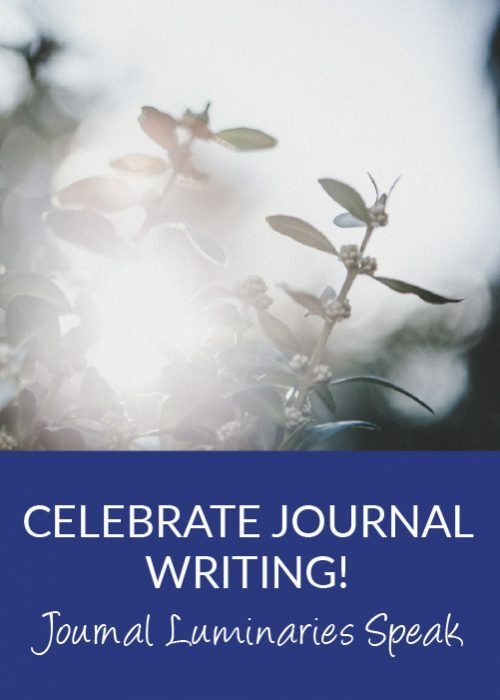 Converse, Consider, and Connect with the journal writing community when you listen to our panel of long time journal writers–Lynda Monk, Nathan Ohren, and Heather Severson. The discussion is a synthesis of listening to the nine journal luminaries. Ruth Folit, founder of IAJW, interviewed these nine incredible and accomplished writers on the subject of journal writing. Each session reveals unique access points for deepening your own writing practice. You not only get to know these people more intimately, but learn how their writing has carried them through their careers. This interview collection will be an inspirational resource to listen to when you need a writing boost. Each of these “ivy-league” mentors has published highly acclaimed books, has led workshops and taught classes for decades, and in some way has made a significant contribution to the world of journal keeping, writing practice, or writing personal essays and memoirs. There’s plenty of advice, ideas and inspiration for any writer! Natalie Goldberg is the author of 12 books, including Writing Down the Bones, and The True Secret of Writing: Connecting Life with Language. Louise DeSalvo is the author of the groundbreaking book, written in 1999,Writing as a Way of Healing: How Telling Our Stories Transforms Our Lives. Christina Baldwin, author of many books, renowned teacher and conference presenter, at age 30 became a founder of the journal writing movement. Mark Matousek is a bestselling author, teacher, and speaker whose work focuses on personal awakening and creative excellence through transformational writing and self-inquiry. Sheila Bender has a passion for helping those who want to take their writing into new genres, revise effectively, generate more writing or facilitate the writing of others. Caryn Mirriam-Goldberg is the 2009-2013 Poet Laureate of Kansas and the author or editor of 19 books. She is also the founder of Transformative Language Arts at Goddard College. John F. Evans, MAT, MA , Ed.D. is a writing clinician and integrative health coach who teaches about the power of writing to create better health, overcome trauma, and build resilience. Susan Borkin is a psychotherapist and speaker based in the San Francisco Bay Area. She has specialized in the therapeutic use of writing since 1978. Beth Jacobs, Ph.D. is a clinical psychologist and author who has journaled throughout her life and supports the processes of therapeutic journaling. Converse, Consider, and Connect with the journal writing community when you listen to our panel of long-time journal writers–Lynda Monk, Nathan Ohren, and Heather Severson. The discussion is a synthesis of listening to the nine journal luminaries. 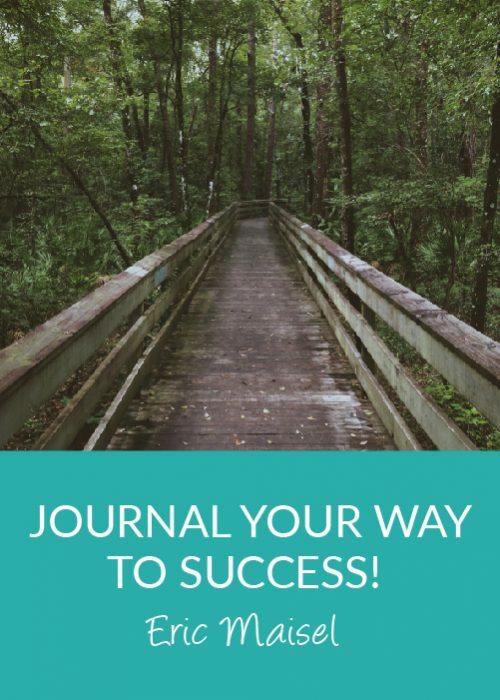 Journal Your Way to Success! 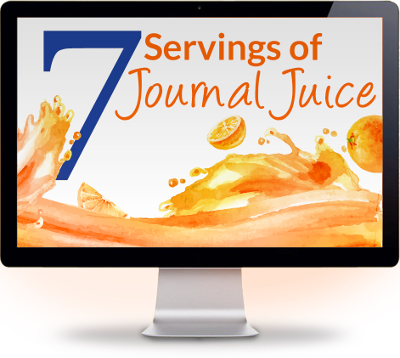 IAJW Journal Council expert Eric Maisel will guide you through his Focused Journal Method and teach you how to use journaling to increase success in many areas of your life.